You are viewing a news and article archive for the BT Wholesale tag (category), where older items are stored for readers to access and view. 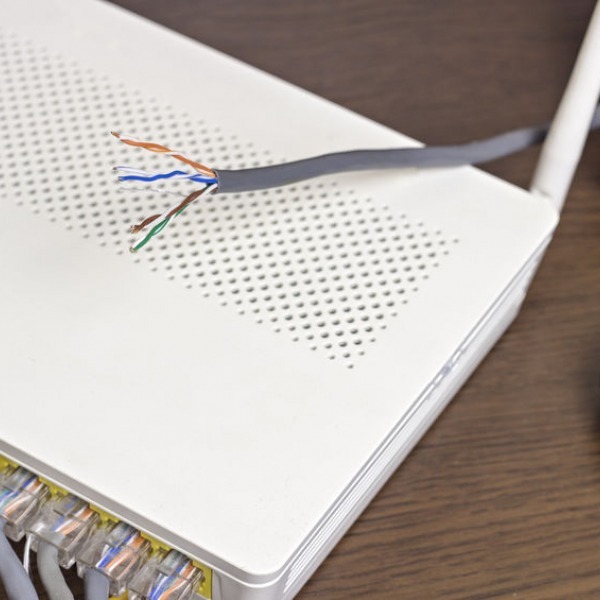 BT Group has released their results to the end of December 2018 (Q3 – 18/19 financial), which reports that Openreach’s FTTP and G.fast based “ultrafast broadband” (100Mbps+) UK ISP network has grown its coverage from 1.97m premises passed to 2.6m in the last quarter. Take-up of FTTP is 29.9% and G.fast just 0.88%. 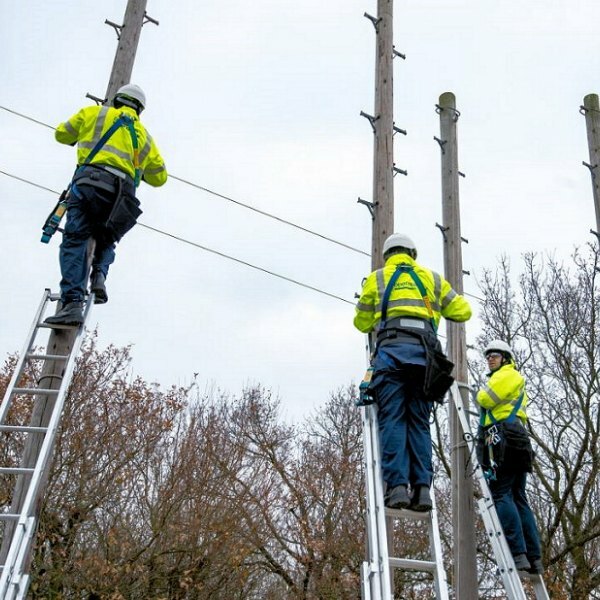 BT has published their latest results to the end of June (Q1 2018/19 financial), which report that the coverage of Openreach’s “ultrafast broadband” (100Mbps+ via FTTP and G.fast) network has reached 1.7 million UK premises. But sadly they’ve begun hiding their retail ISP customer figures. The Communications Workers’ Union (CWU) and BT have reached a deal to close the operator’s defined benefit pension scheme (BTPS), which should avoid the possibility of a UK strike and help to plug the growing pension deficit (£7bn at the last review, with some warning it could hit £14bn). BT has released their latest results to the end of 2017 (Q4 calendar), which saw their retail UK broadband ISP base add 35K subscribers to total 9,342,000 (vs +22K in Q3). Meanwhile their FTTP and G.fast “ultrafast broadband” (100Mbps+) services reached 886,000 premises (up from 770K). 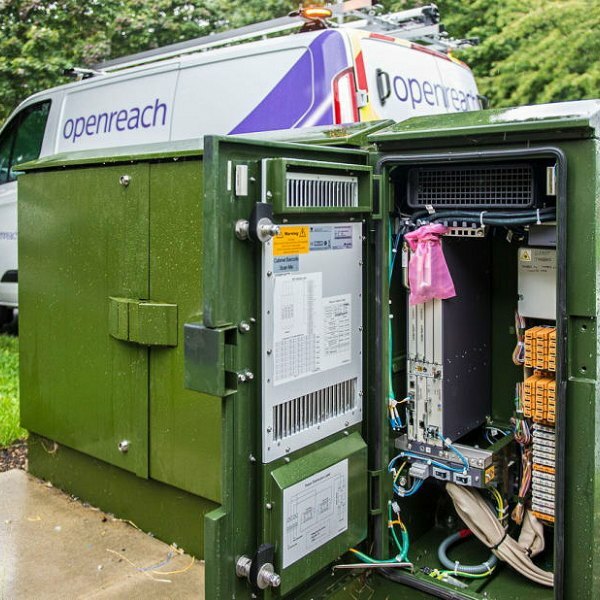 BT recently held another one of their periodic meetings with ISPs from across the United Kingdom, which among other things revealed the latest roll-out progress for G.fast and FTTP “ultrafast broadband” tech, as well as a trial of Qube engineer visits and the status of their 21CN upgrades. 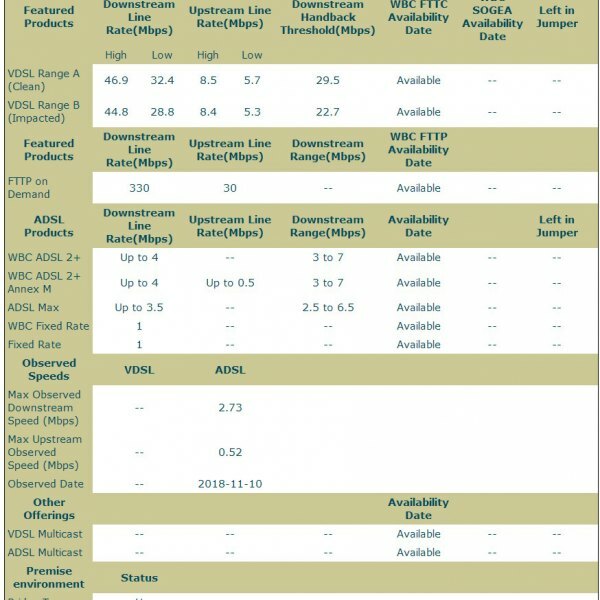 BT Wholesale has published an updated price list (effective from 1st September 2017), which gives us a useful glimpse at the wholesale charges that UK ISPs will need to pay if they want to buy the operator’s 160Mbps (30Mbps upload) or 330Mbps (50Mbps upload) based G.fast broadband service. 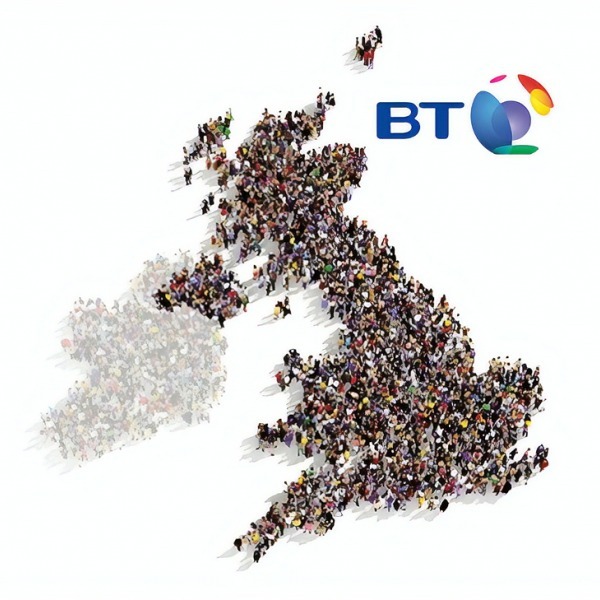 After a chaotic start to the year BT has today published their latest report for Q2 2017 (calendar), which saw their retail broadband base reach a total of 9,286,000 subscribers (up by 19K vs 29K in Q1) and this includes 5.1 million “fibre broadband” (FTTC/P) users (up 170K vs 211K in Q1). 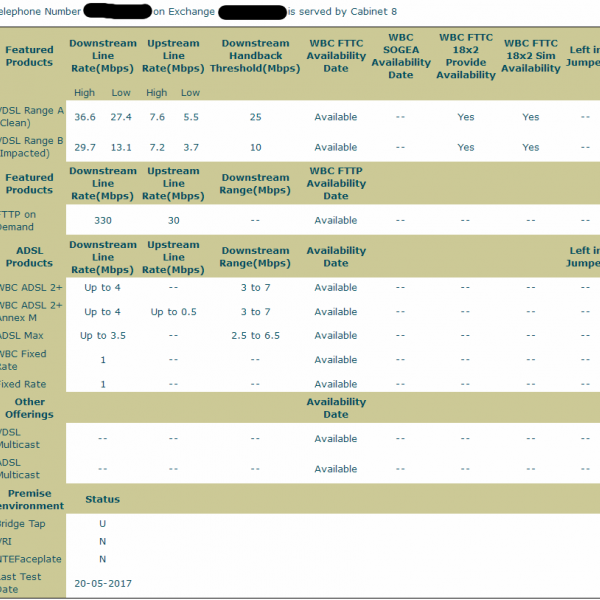 The BT Wholesale Broadband Checker has recently added two additional rows to its output for the customer premise environment (‘VRI‘ and ‘NTEFaceplate‘) and so far as we can tell these only show when testing with a specific telephone number (i.e. not specific address or postcode checks).